Marisa Garshick, MD, FAAD is a leading board-certified dermatologist serving patients throughout Manhattan, New York at MDCS: Medical Dermatology & Cosmetic Surgery, as well as an assistant clinical professor of dermatology at Cornell - New York Presbyterian Medical Center. Dr. Garshick provides a wide variety of cosmetic and medical procedures and services including treatments for acne, eczema, hyperhidrosis, moles, psoriasis, rosacea, signs of aging, skin cancer, skin tags, vitiligo, and wrinkles. She completed her undergraduate education at Emory University and attended medical school at Tufts University School of Medicine, where she graduated with Research Honors and Alpha Omega Alpha. 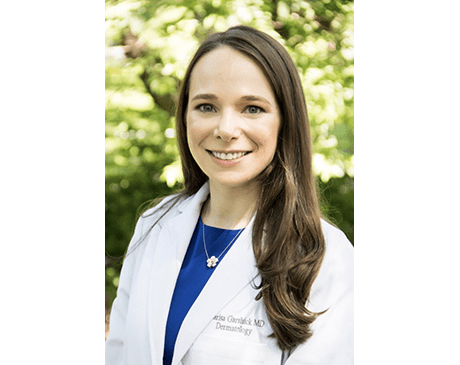 As a medical student, Dr. Garshick was awarded the prestigious Doris Duke Clinical Research Fellowship at Harvard Medical School, during which she performed dermatology clinical trials and research at Massachusetts General Hospital. She was also awarded the American Medical Women’s Association Glasgow-Rubin Academic Achievement Award for graduating in the top of her class and the William Dameshek Award for Research Excellence. Dr. Garshick’s post-graduate training in dermatology began with an internship at Memorial Sloan Kettering Cancer Center. She completed her dermatology residency at Cornell’s New York Presbyterian Hospital, where she served as Chief Resident in Dermatology. Dr. Garshick has numerous publications in scientific journals and book chapters, including a chapter on the treatment of acne, and has presented at national meetings. She specializes in general medical dermatology, including adults and pediatrics, and cosmetic dermatology, including neurotoxins, fillers, chemical peels, and lasers. Dr. Garshick is also involved in teaching the dermatology residents at Cornell, leading discussions reviewing the latest dermatology literature. She is a member of the American Academy of Dermatology, the American Society of Dermatologic Surgery and the Women’s Dermatologic Society, as well as an Assistant Clinical Professor. Dr. Garshick and her colleagues at MDCS: Medical Dermatology & Cosmetic Surgery are currently accepting new patients and accept most major forms of insurance. "Dr. Engelman is awesome! She is always efficient and able to address any skin concerns." "I have been to see most of the doctors here, and I really like this group!" "I loved my experience here. The staff is friendly and informative." "Snehal P. Amin, MD could not have been better! He really listened and did not rush me." "Dr. Schadlow was great! Very knowledgeable and caring. Overall, great experience." "A friend referred me to MDCS. I have now been traveling all the way from CT to see them." "Dr. Gratch has excellent bedside manner, very personable." "I could tell Dr. Schadlow really wanted to help me and cared about my treatment. " "If you're looking for a team of skin geniuses, MDCS is your place." "I am telling all of my friends and family they have to see Dr. Gratch!" "Dr. Amin is wonderful and I have recommended him to all of my family and friends." A wide variety of insurances are accepted to cover the cost of consultations and treatments. If you have any questions regarding whether your insurance plan is accepted and coverage, please feel free to contact our office.